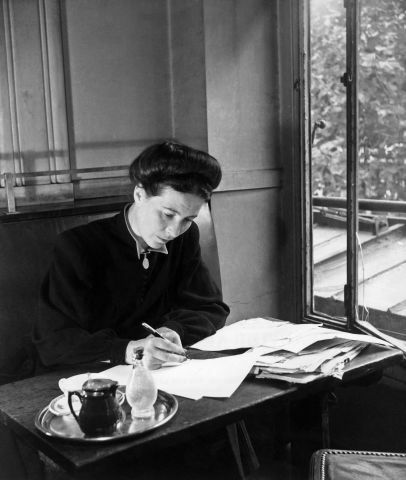 Simone de Beauvoir. . Wallpaper and background images in the Women in History club tagged: women in history simone de beauvoir. This Women in History photo might contain खाने की मेज, चोली, ब्रासेरी, and बिस्टरो.